Your style and fashion guide from the streets to the beach and everything in between. Is anyone else blanket scarf obsessed this winter? I swear, these are my go to pieces. My favorite thing about the blanket scarf is you can never wear it the wrong way. I love wrapping up in it on a cold day or wearing it tied around my neck for a more dressed up look. Super affordable, easy to add to your existing wardrobe and plenty of style to last for years to come. Also, it’s a great way to incorporate a pop of color by adding a pattern or plaid print to the mix. I hope you get to try a blanket scarf this winter. I’ll bet you’ll get a ton of compliments and it will become one of your “go to” pieces too! I’ve linked several of my favorites below. Well, it’s that time of year again. December 21st, the first official day of winter. Christmas is right around the corner. Hopefully, all of your Holiday shopping is done and you’re looking forward to spending time with the family. I figured this would be the perfect day to get into the Christmas spirit by wearing red, green and white. Is there anything more winter or Christmas like than these colors? I hope this is a magical season for you and yours. Want to know how to keep wearing the same outfit without repeating the same look? SWITCH UP YOUR ACCESSORIES. It’s as simple as that. Here, I have on the same black leggings, stripped shirt and black ankle boots. You’ll see I’ve incorporated an oversized boho fringe scarf, quilted vest and fun festive winter hats. Same base outfit and different accessories provide endless looks. What will you come up with? Want to make a FASHION STATEMENT? This is the ultimate show stopping piece for your wardrobe in the winter months. 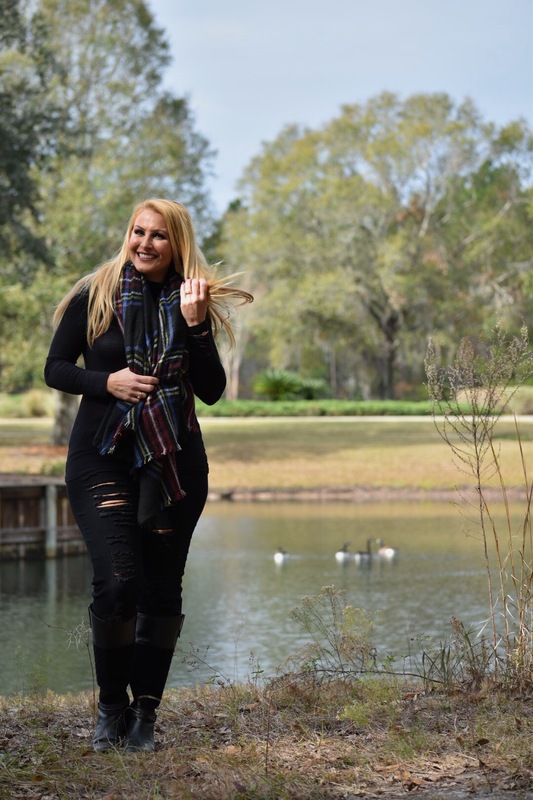 The poncho adds so much flare and style and typically costs less than a wool winter coat, so you can splurge on more than one. You won’t be boring in the same old holiday dress that you’ve been wearing for years. Switch it up, glam it up and live it up this holiday season. I’ve linked some affordable options ranging between $13 to $300. 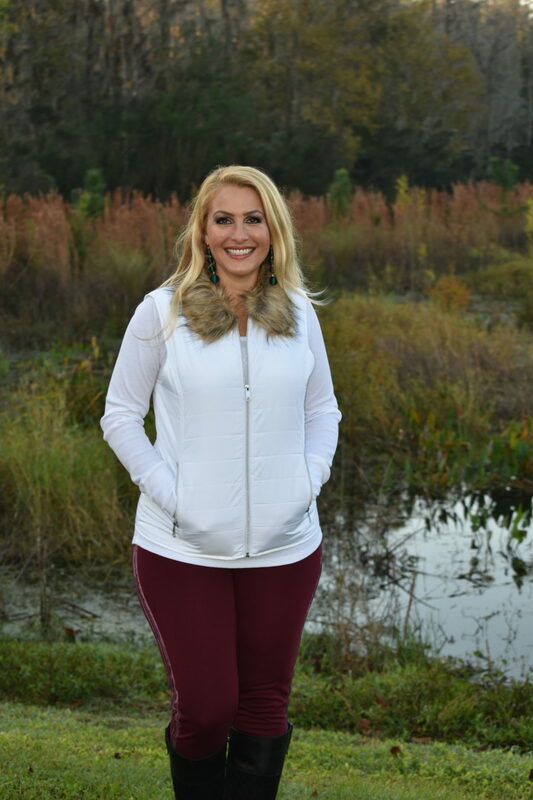 Heading into winter requires incorporating a signature vest into your wardrobe. Not only are they stylish, they provide so much warmth. I’m all about layering. Investing in pieces that you can wear next season and for years to come is so important. 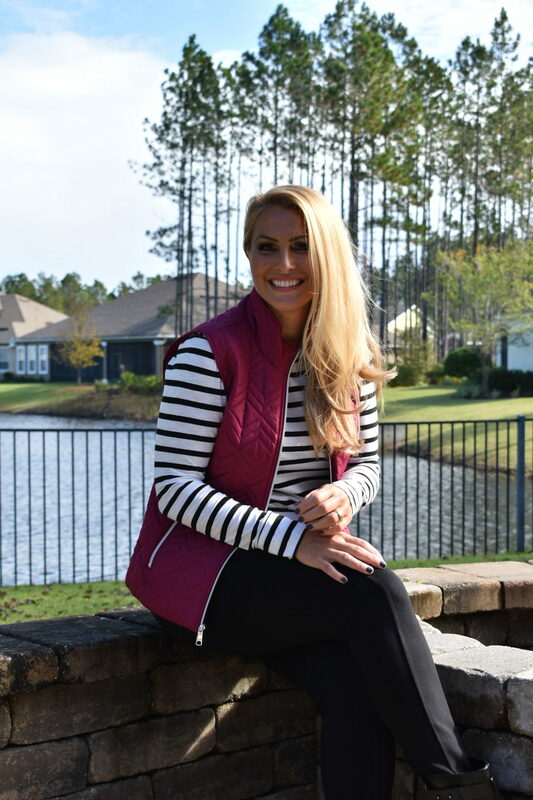 The puffer vest will be on trend for years and is one of those amazing pieces. 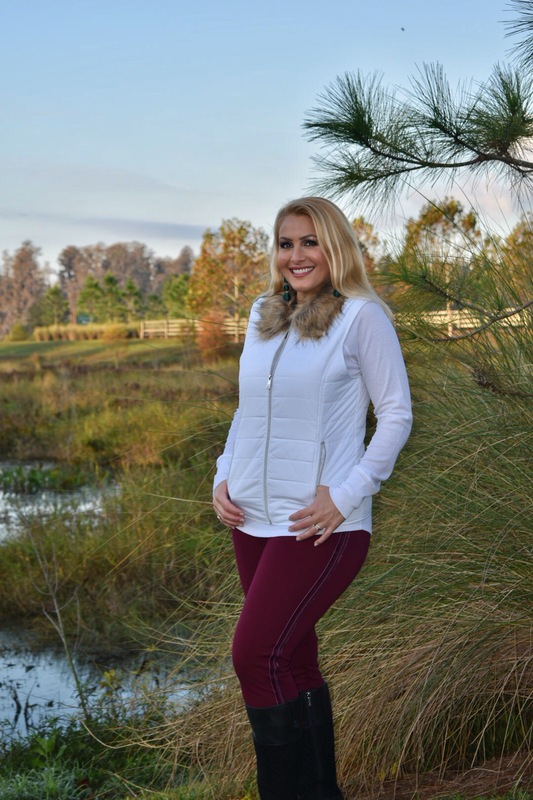 This Calvin Klein sliver puffer vest is my fave! I’ve been able to wear it with any and every shirt that I own!!! Seriously, getting a solid color metallic puffer vest means you can literally wear it with anything that’s already in your closet. Plaids, stripes, solids or even fun prints. A metallic puffer vest will match EVERYTHING! 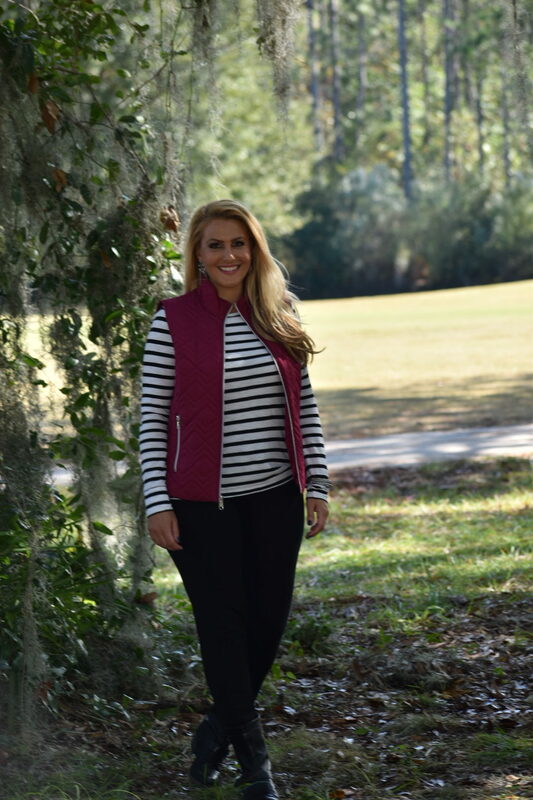 See how versatile this vest really is…….I’ve linked all outfit details below. Happy shopping and Happy Holidays!